... and then I'll be back to blogging about whatever comes to mind instead of Supreme Court cases. The positive comments I've gotten from Christians have well outnumbered the negative ones. Some of them from surprising people. 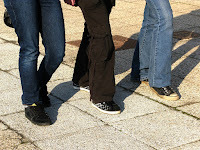 Most of them have been shared privately, because not everyone is in a position where they can rock the boat without losing the influence they have, so they have to be more subtle. I get that and totally respect those who can do subtlety. I speak what I do, at least this time, because I can. I'm not going to lose my job over this. I may lose friends, and while I'm willing to fight to keep friendships intact, my best friend in the whole world is already gone beyond reach, so it's not like I have to be scared of the worst that can happen there. A bunch of strangers have suddenly found out how disjointed and nonsensical my writing can be when I'm trying to get a lot of thoughts out in a hurry, but hey, better I hear that now than after I've self-pubbed something awful, yes? But here's something: I'm not brave. I'm frustrated. I'm not a good ally. I came along late in the game to ask people to find something else to complain about for a while. I haven't even bothered reading the comments I've gotten on Facebook past the first few, because the private messages I was getting were a lot more interesting. These are not the actions of a brave person. It's just me, and I'm pretty boring. Anyway. So Camp NaNoWriMo starts tomorrow. I've never done any kind of NaNoWriMo without also having background homework. I don't know how one does just NaNo, but I'm about to find out. 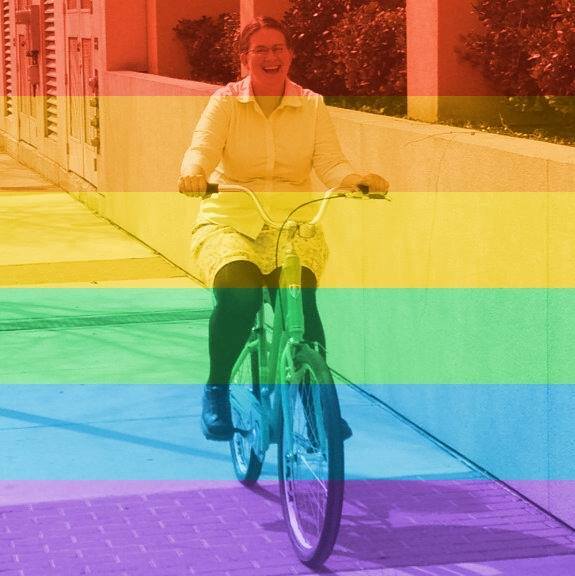 It took me a day and a half to change my Facebook photo after I first thought about it, and that's because it takes me a little bit of time to decide whether it's worth it to upset people that I care about. Goodness knows I know what it's like to be disappointed by friends. After years of treating friendship far too lightly, I finally learned to give more gravity to how I approach other people. Gravity can hurt when things go in an unexpected direction. The people I care about are only human, after all. Which leads me to now, and considering who among my dearest friends, people whose friendship is well worth fighting for, would be surprised by me taking a stand they disagreed with. Who would have a hard time with this. Who might need to step back from our online friendship for a while. So yesterday's post was in part the beginning of a conversation. A conversation about whether friendship can survive disagreement. An acknowledgment that people may want to stop talking to me for a while. A chance for them to see that I don't do things that I know might cause a rift without putting some thought into it first. I mostly haven't heard from those friends yet. Maybe they didn't notice (I don't really think their worlds revolve around me, after all), maybe they're less surprised than I thought they would be, or maybe they just need time to think things over, too. Because friendship, when you agree AND when you disagree, is worth fighting for. Want one like it? Get yours here. ... to the shock and dismay of many who know me and apparently thought they had me pegged. I knew people would be shocked. I knew some would be downright angry and disappointed. And I know some people will probably put this down to my grieving and being really confused right now, etc. etc. The thing is, my position is actually that the government should get out of marriage altogether. We've built so many systems around whether people are married or not (I've spent years checking that box on oh-so-many forms), but I remain unconvinced that it's the government's business who I'm spending my life with. So much for what I think about that. Why change my public photo and upset so many friends and family members? 1. I have a lot of good friends who get a lot of ugliness from people who call themselves Christians. It's time for me to stand with them for a while. 2. I see so much nonsense, from all ranges of the ideological spectrum, on my feed every day. And while I'm chuffed to have such diverse friends, it's also wearing on me. I have an "unfollow without remorse" policy, meaning that if I'm just getting tired of what someone is saying and can't read another word, I click the button to get them out of my newsfeed. But I'm tired of doing all the work, so I'm using this to weed out the friends list a bit. 3. I think it's well past time for Christians to stop spending so much energy on this and redirect that energy into other things instead of acting like the whole Bible is about gay marriage and abortion. Let's go picket outside the Golden Corral for a while (gluttony). Let's protest at the Lexus dealership and the Neiman Marcus (materialism). Let's stop being okay with people driving to our churches in cars that cost more than some of our neighbours make in a year, and walking into our sanctuaries wearing clothes so expensive that the money spent could have fed a family of four for two weeks. Let's go after the very real problems of poverty and homelessness, to name only two, in our cities instead of thinking it's their own fault for getting into that mess (loving your neighbour, doing for the least of these... I seem to recall Jesus saying something about that). Do I believe that changing my Facebook and Twitter photo and shocking a few of my friends (some of them in a good way, btw-- there are people who didn't know I had it in me to take a stand!) will accomplish this? Of course not. I'm a lot more likely to get result #2 than result #3. But my silence is not always golden, and in this, I'll risk having fewer friends for the sake of using my voice. to just have a bonfire. You hear stories, especially on cable TV, about people who manage to live completely off the grid with no paper trail documenting their life. I suppose there are many reasons that kind of lifestyle would be attractive, but right now, there's just one that is calling out to me: No paperwork. Seriously, why does life take so much paperwork? Even death takes a ton of paperwork. I have days when I feel like Chadwick's life has been reduced to a file drawer full of paper. This human with a huge personality and a capacity to care so much about so many things is now a never-ending series of pages with the "Deceased" box checked and my name on the "Surviving Spouse" line. Except it will end, one of these days, and I'll be left with memories and a file folder. 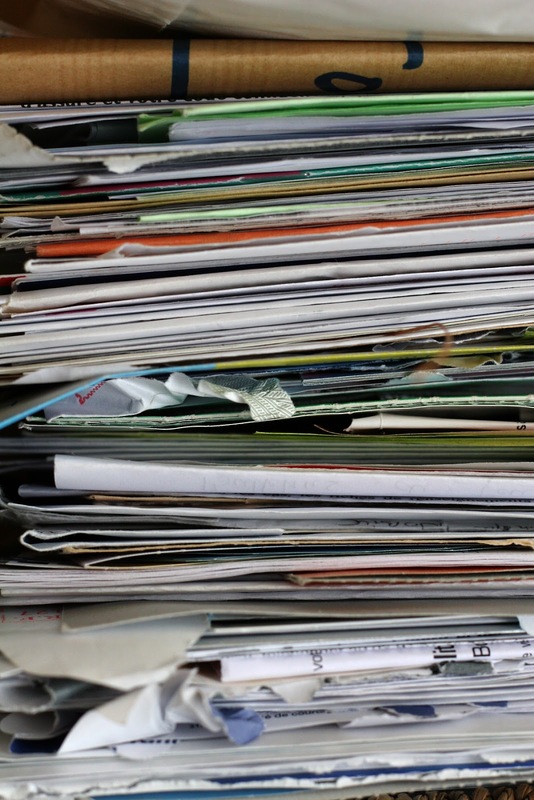 And even though all my bills are paperless, in my attempt to stop this single-handed deforestation, I have a box of notices that needs to be shredded and recycled. A project that I need to finish soon, mind you, because I'm going to need a place to store that file folder. If that's all I have left, I'm hanging on to it as tightly as I can. 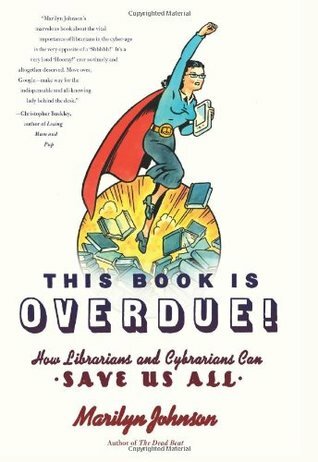 I just finished reading This Book is Overdue: How Librarians and Cybrarians can Save Us All, by Marilyn Johnson. And it's fantastic. Biggest takeaway: Learn more about the Connecticut Four, who are the subject of Chapter Five of this book. They fought back when the FBI demanded information about who'd been using the library computers. Learn about them-- this is the kind of thing we need to know. If you read the Goodreads reviews, you'll see the responses are mixed. The points about the book being disjointed and not having a clear idea of what it's about are fair enough. Especially interesting, IMO, are the reviews from librarians, since this book is about their field. As much as I would love to own many of the books that I read, as much as I want to support authors, my book buying budget is sadly limited to buying just a handful of books a year, and in recent years that budget has been entirely spent on textbooks. So I use the library as my second bookshelf, so to speak, until such time as I'm independently wealthy and can build my own library with a small bedroom and kitchen attached. Do you use your local library? What's your favorite thing about it? If you don't use the library-- why not? sunscreen" day, for those keeping score at home. The last few days have been bad ones, in terms of getting through the day still standing. In terms of diving deeper into the soul-crushing side of grief. In terms of, I just don't want to do this anymore. So when I checked the weather a few minutes ago, my second thought after, "Ugh, hot," was "Ugh, what does it matter?" It's something that seems so important, what the skies are doing to us at any moment, but checking it right now just looks like another weirdo human thing I do out of habit, a weirdo human thing Chad will never do again. 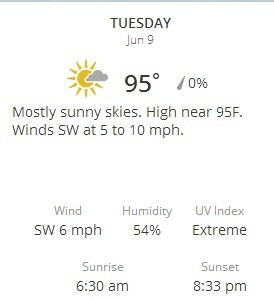 And of course, my more rational side knows that truthfully it doesn't matter in the grand scheme of things, what the weather is like in Austin one day in June, but tomorrow morning at 8 AM when I'm on a bike to ride to work, it's kind of something I need to know. And even more so at 5 PM when I'm headed back, so I know how many bottles of water I should take and how many layers of sunblock I'll need to apply. But then I get home, and he's not here, and the 5 PM things pale in comparison to the overnight emptiness in my room. When will I get off this sad-go-round, I wonder? Post title is a quote from The Whether Man in The Phantom Tollbooth: "It's more important to know whether there will be weather than what the weather will be." Indeed.